Best Fantasy and Science Fiction: Star Wars: Fate of the Jedi: Allies - Cover Revealed! Star Wars: Fate of the Jedi: Allies - Cover Revealed! 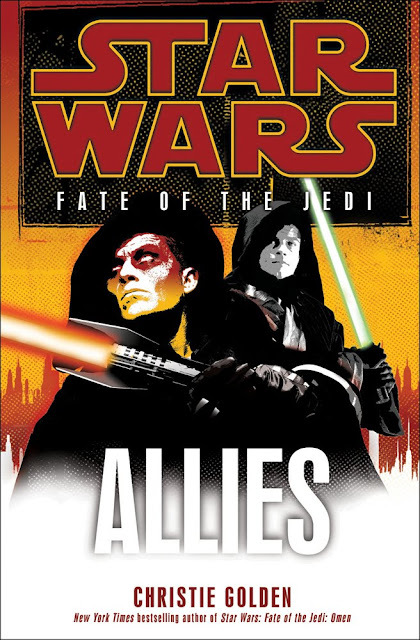 Earlier today Starwars.com released the cover for the highly anticipated fifth book in the Star Wars: Fate of the Jedi series, "Allies" by Christie Golden. The book will be released in June of 2010 so there is no synopsis yet, but the cover truly makes the imagination wonder where we are all headed in this series!